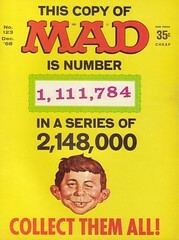 Individual subscription to Studies in American Humor is by membership in the American Humor Studies Association. Institutions and libraries should subscribe via PSUP. 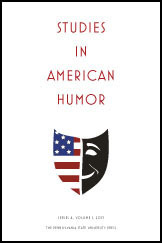 The American Humor Studies Association is dedicated to the study of American humor in all its aspects. The Association is an affiliate of the MLA and ALA and presents convention programs at the annual conventions of both societies and sponsors programs elsewhere. Annual business meetings are held in conjunction with the Annual ALA meeting in May of each year. Any member of the MLA or ALA may attend AHSA meetings and submit papers for consideration at annual MLA or ALA meetings; similar arrangements apply to other organizations limited only by the governing rules of the organization. Presenters must become members of the American Humor Studies Association prior or or coincident with the presentations at MLA or ALA, and contributors to the journal must become members. 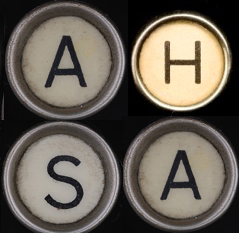 Membership in the American Humor Studies Association includes the semi-annual online newsletter To Wit and to Studies in American Humor.